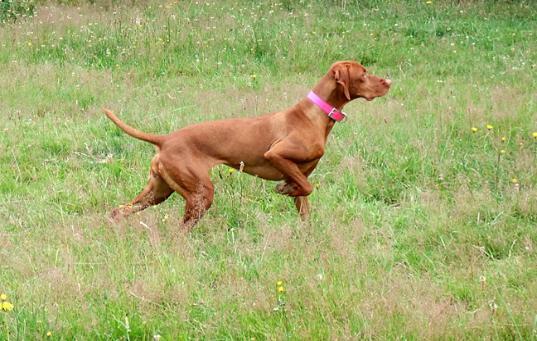 Owner(s): Pam Hidaka "Fantazsa Vizslas"
titles and is pointed in the conformation ring. in his first Rally Trial. 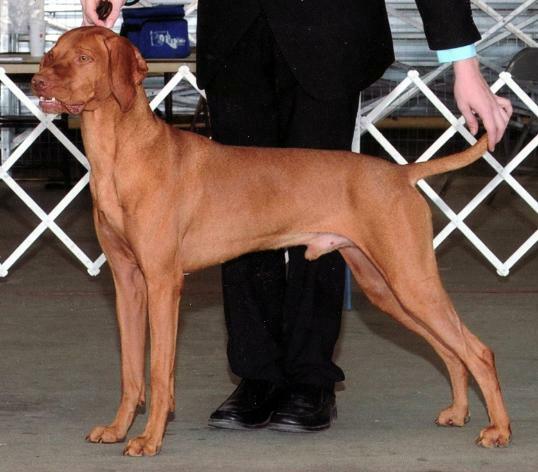 CGC, RATI, RATN, TDI, TKN, NTD "Chenille"
Breeder(s): Pamela Hidaka "Fantazsa Vizslas"
Honorable Mention: Dual Champion (DC), Master Hunter (MH) titles. Remington received the prestigious VCA Registry Of Merit (ROM). 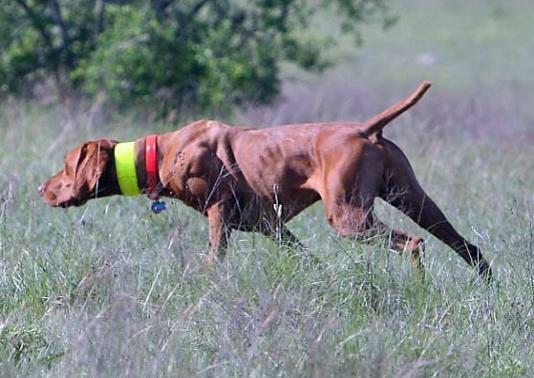 Champion (CH), Junior Hunter (JH) titles. 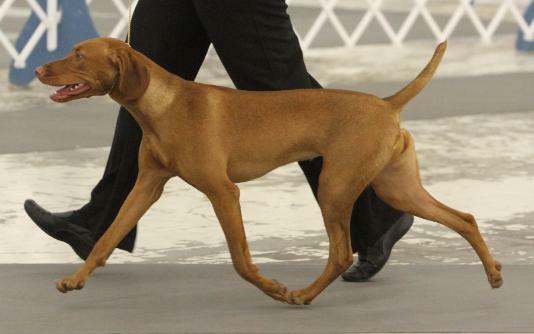 National Dog Show - 2015 and Best Of Breed Winning. 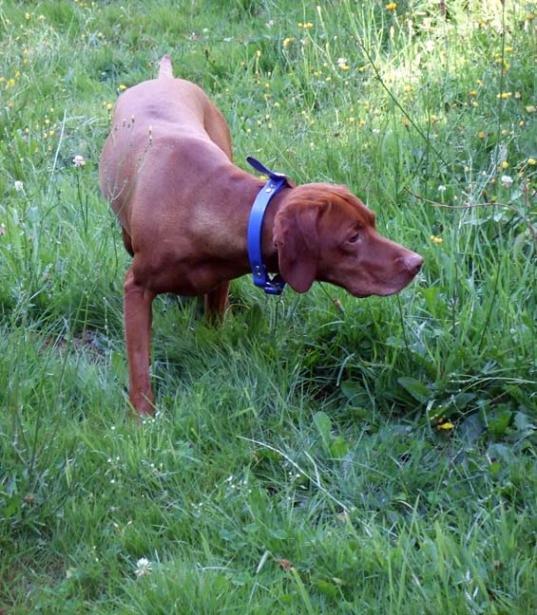 Titles attained; Bronze Grand Champion (GCHB) and Champion (CH). 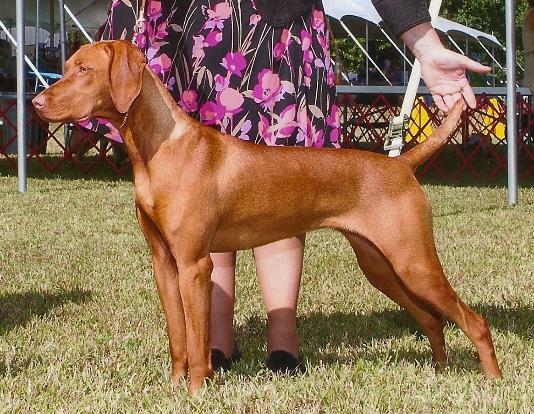 SIRE: GCH CH Cariad Elgin's Barna Medve CD, RN "Barney"
from the Puppy Class at 10 months old. Multiple Champion Titles. Exclusively Owner/Handled by Karen Beckwith. Titles attained; Am Grand Champion (GCH) and Am/UKC Champion (CH). Skipfire RE, Multiple AOM "Mac"
3 Novice Trick Dog (TKN & NTD), 1 Trick Dog Intermediate (TKI) and counting! 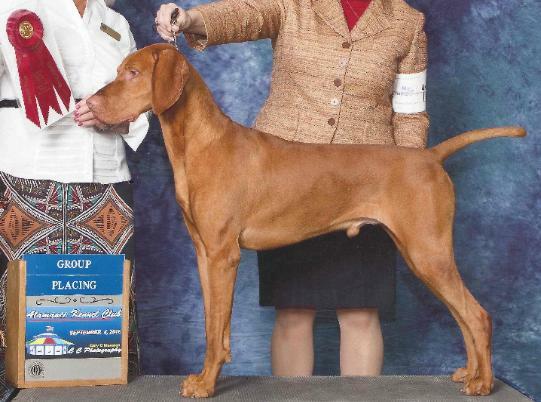 SIRE: Am/Int CH Bon's Golden Boy K.O. JH, ROM "K.O." 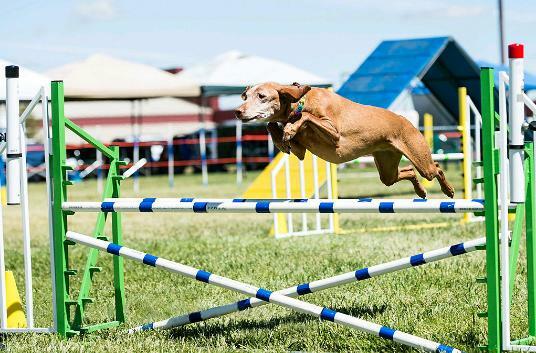 Hunter (JH), Rally Advanced (RA), Coursing Ability (CA), "FAST CAT"
Dog (TKN & NTD) titles. 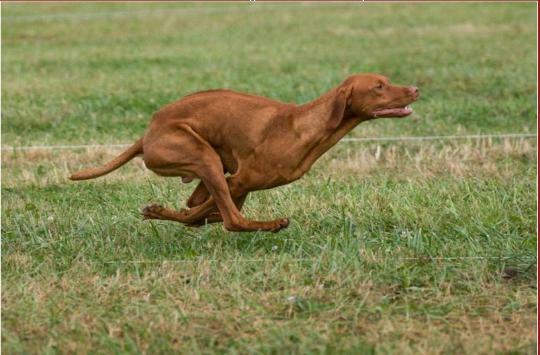 Lifetime FAST CAT ranking, #9 Vizsla, 27.79 mph! 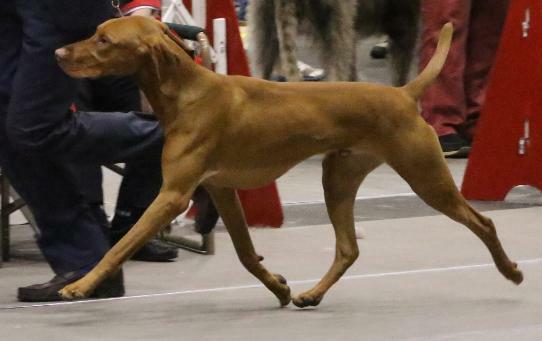 Winners Dog (RWD) at the 2018 VCA National Specialty Show. Group 2 - Hendersonville Kennel Club and Best Of Breed Winning. Titles attained; Champion (CH) and Junior Hunter (JH). 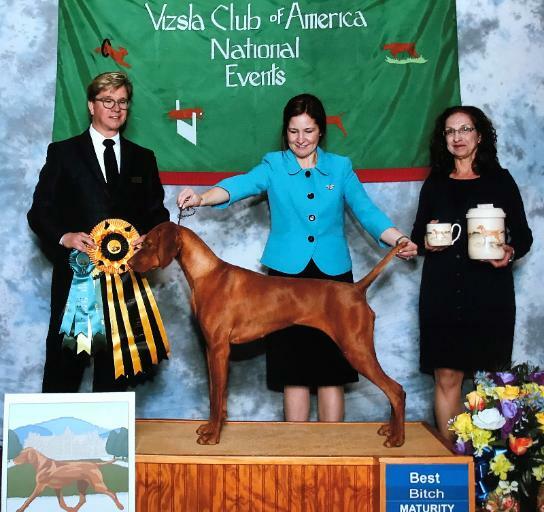 DAM: GCH Am/UKC CH Firelight’s First Is Too Hot To Handle "Coal"